Bindings fell apart after 7 or 8 uses. Atlas claims a lifetime warranty but no repair offered for my claim. Will find another brand next time. Bindings fell apart after 7 or 8 uses. Contacted Atlas and they said no parts available. They didn't respond to warranty inquiries at all. Bindings fell apart after only about 10 uses. Bindings fell apart after only about 10 uses. Atlas will not honor warranty as I did not save my original receipt. Hey... sorry Atlas... people do not hang onto the receipt for every little thing they buy in life. I am sure that you use this as a "gate" to deny warranty claims. Paid a premium price for Atlas rather than buy some Atlas knockoffs at a fraction of the price of Atlas. Never again. I am down on Atlas. Buy some knockoffs for $49 and if they fall apart after 5 years, just buy another set. 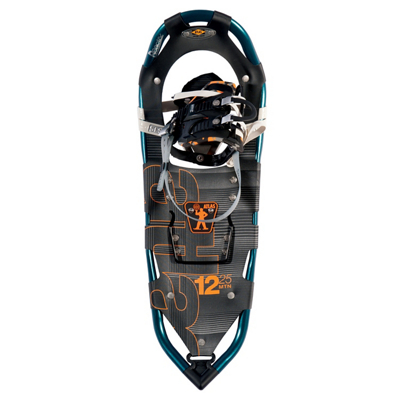 Welcome to Trailspace, J D. Too bad about your bindings breaking and not being able to replace them. Do you have any pictures of their failure you could show in your review, so others can see what happened? Looks like you're not the first user to have this problem. Thanks for posting a warning on these, JD! I have two pair of 1235's. I bought the second pair because the first pair (for me) performed very well. 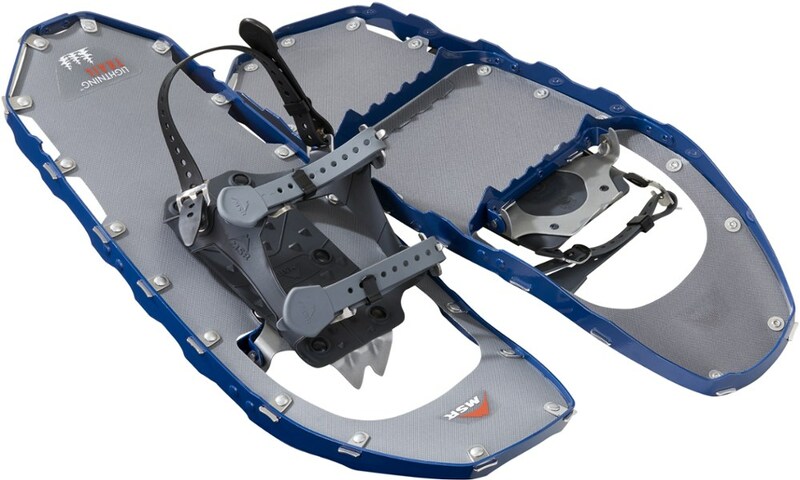 I am a heavy guy 300 lbs and these snowshoes on day old snow will take me any where I want to go. I am old school (ash frames and animal webbing) but these shoes beat anything I have ever owned including Tubbs! Just wish they were not made in China, BUT they are well made in China, so that is a plus! I was originally going to buy the MSR Lighting Ascent but could not pass up the deal on the 1225's. Was very impressed with ease of putting on these shoes. One pull on the top and one pull on the side and you are locked in for the entire day. Took these on a 10 hr hike up some steep inclines and liked the grip and the lifts helped a lot for calf fatigue. Overall a great product for the price. We bought four pairs (we were four of us..., no redundancy needed) and stomped through Norway's fine powdery snow in Rondane National Park for a week last winter. Never let us down, even with 45lb. backpacks as additional weight on our backs. Various pieces of equipment went to see their maker, but not these. 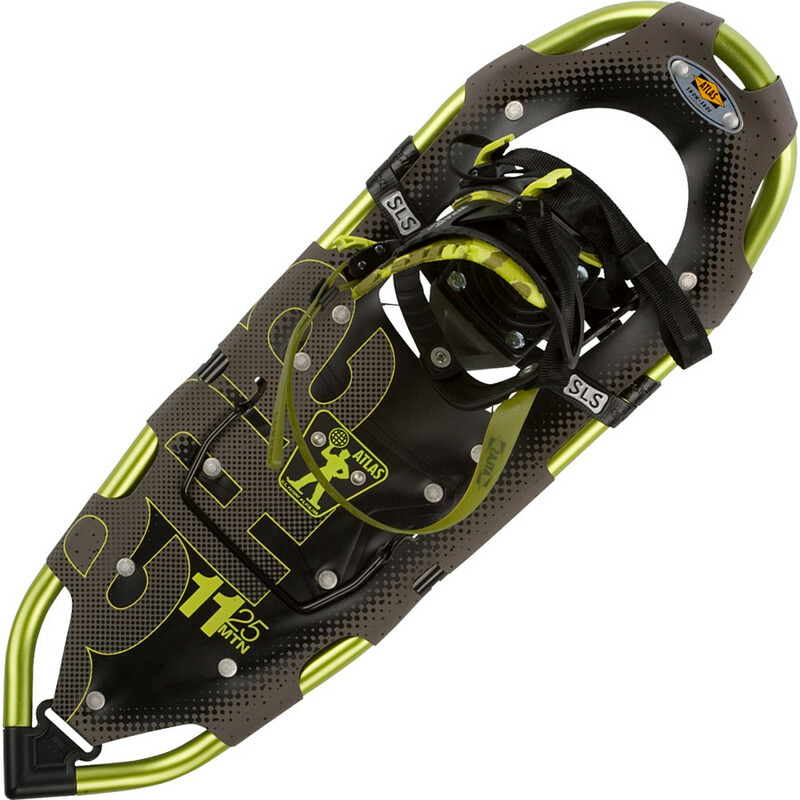 I have two pairs of these 22-inch and 25-inch so that I can cover all conditions in which I plan to snowshoe. 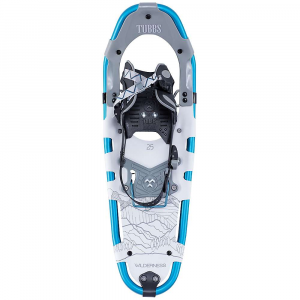 As mentioned in previous reviews these have the most user-friendly binding of any snowshoe on the market and that is precisely why I own them. They also are pretty much bulletproof as I walked across logs, rocks, ice, gravel roads etc with nothing more than cosmetic damage. 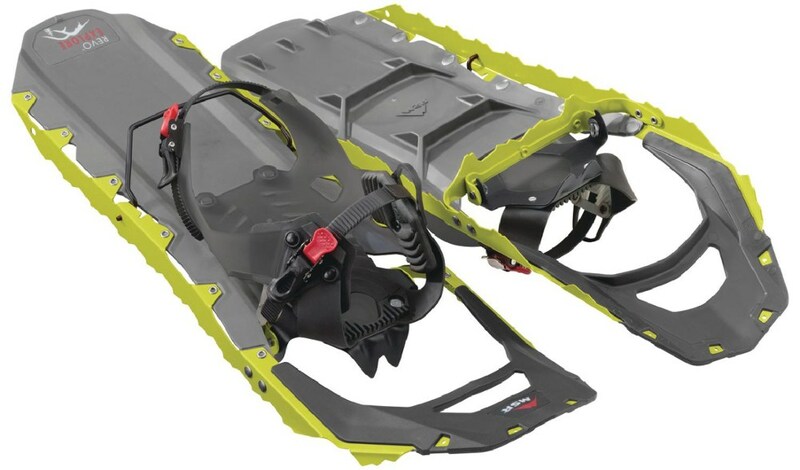 Wow, I've been a proponent of the Atlas 12 series snowshoes for a number of years now and own two pairs one in the 22" length and one in the 25". I saw these in my local mountain gear shop and immediately had to try them. The binding looks a bit funny but works like a charm. It seems like Atlas may have "borrowed" the idea for the ascender bar from another company but what the heck. I took them for a test spin and they are fantastic. Uphill, downhill, side hill they are simply amazing. I'll sell my old ones on ebay and upgrade both the 22 and 25 inch to this newer, lighter, and superior model. 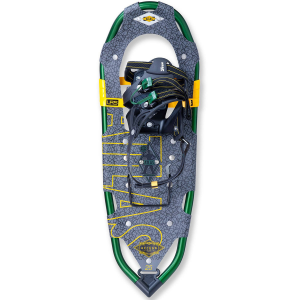 The bindings are extremely easy to use, even with mittens and inserts. They stay tight, without slipping. The decking has taken extreme abuse on rocks and ice and has nicks here and there. The cuts haven't run because of the material the deck is made out of. The shoes don't allow any lateral torsion. They are very stable. 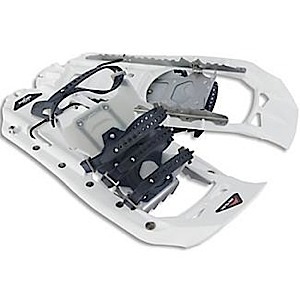 The bottom has rows of teeth, more than other snow shoes. I have taken the 1225s up and down mountains here in interior Alaska. They excel on hard pack snow, ice, and rocks. Being only 25 inches long, though, I suffer in deep snow. That is my fault and not the fault of the product. I will not buy another brand or series beside the Atlas 12 series! The Atlas 12 Series is not available from the stores we monitor. It was last seen October 31, 2018	at SunnySports.